Performances include international and local dance artists performing in a range of venues from indoor auditoriums to intimate site-specific and public spaces, with pieces ranging between 10-45 minutes. Entry for all performances are free of charge but a printed or E-pass is needed. Coming 30 minutes before is recommended as seating is on first come basis. Workshops with international and local artists at all levels of experience and ability, covering different styles and techniques, including session on improvisation and composition. Online registration is necessary with payment on spot 30 minutes before the class starts. Artists talks are informal session with artists talking about their performance process and creative style with audience interaction. Dance film screenings include a showcase of international dance films of length 3-20 minutes. Studio showcase is a platform for artists to present work in progress/research projects within the performance format at an intimate venue, followed by an interactive feedback session with the audience. Residencies/Crossover Dance Project will run for over two weeks with international choreographers working with a group of dancers to create a new work commissioned by the Festival as well as restage an existing work with a combination of company and festival artists. Jam Session is a special interactive dance and music improvisation session with local and international artists. More detailed information about performances, workshops, films and artists talks will be released soon. ‘Dreams in a Jar’ is a special fundraising campaign to support youth dance in Calcutta through different training and educational projects at Dance Bridges for young artists in the city. This includes our international residency programmes and dance workshops during Dance Bridges Festival 2019. We believe in the power of community, and your participation can help in fulfiling young dreams. You will encounter our jar at our festival venues allowing you to support this one of kind project in order to create more artistic opportunities and exchanges for local and international dancers. For those of you who would like to participate through online payment, please connect with us at info@dancebridges.in. All contributions are welcomed and appreciated, regardless from the amount of your donation. We invite you to join our growing artistic community and engage with the cultural word! 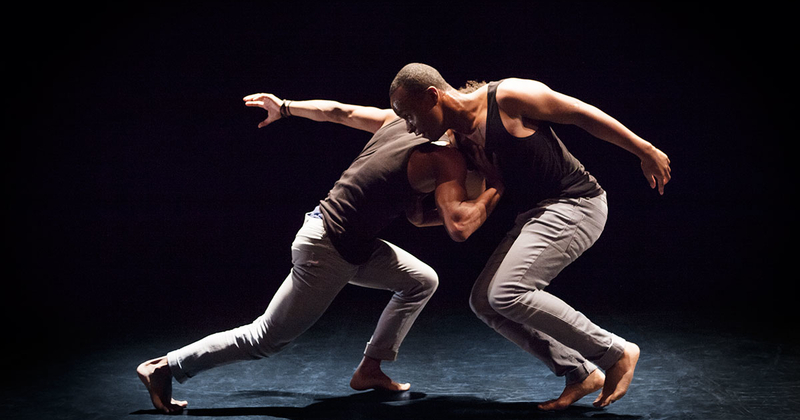 Dance Bridges Festival offers different opportunities for advertising your brand and providing exposure through a range of media and digital platforms. Many different budget options are available. Click HERE to know more about our large scale advertising opportunities. Click HERE to know more about our small scale advertising opportunities. Arrival & Departures dates: The first Festival workshop starts in the afternoon on Thursday 1st August, so we advise you to arrive a day or two before to acclimatise and rest. Our closing performances will finish by 7:30 pm on Monday 5th August. Visa Application: Coming to India requires a valid visa granted by the Indian Government. We suggest you apply for a Tourist Visa or an E-Visa at least a month before the departure to avoid any unexpected delay. To fill up the application form and find the Indian visa application center for your country, click here. Weather in August: August is the monsoon/rainy season in India. Average temperatures will range from 26°C – 32°C. We advise you to bring a light umbrella or purchase one on arrival. Accommodation in Kolkata: We can recommend you to book a guesthouse or advance ahead of your travel or look at a comfortable Airbnb closer to our venues in the vicinity of Ballygunge, Park Circus, Alipore, Park Street/Camac Street area. For a list of recommended/partner hotels send us an email at info@dancebridges.in. Airport information: Book your flights so that you arrive in Kolkata at the Netaji Subhas Chandra Bose International Airport. Various taxis services with booths at the airport are available for transfer to the city center. This could range between 750 to 1000 INR. Currently there is no direct metro line or bus service. Transport in Kolkata: We advise you to download the Uber and Ola apps, so that you will be able to book a cab at anytime and any place conveniently. You will need to have an active internet connection on your phone for this. An average taxi ride usually costs between 100-150 INR. You can find a metro line connecting certain parts of the city. Other transport options include yellow cabs, autorickshaws, buses and trams which are relatively less expensive. Internet/Wifi access in the city: Certain places in Kolkata will have wifi but usually they will require a verification with a local number. In general internet and wifi signals may not be as strong as you are accustomed to. Hotels/guest houses/coffee shops usually have wifi services on request, but the service may not always be free. Passes & Registrations: All Festival events are free of charge except workshops. Please download your Festival E-pass or carry a printed pass with you at all times. Cafes & Restaurants: Kolkata has rich food culture that you can explore through various kinds of cuisine. Average prices for a meal can range from 500-1000 INR.